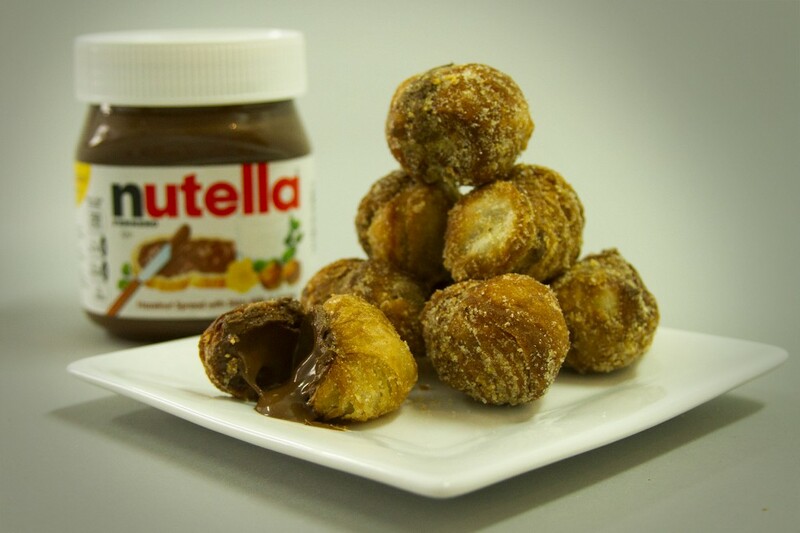 to Dominique Ansel’s Nutella Cronut debuting this coming Monday in celebration of Nutella’s 50th anniversary. As a self-declared expert on this chocolate hazelnut spread, as I’m sure many of you are as well, you know that it’s basically delicious with EVERYTHING. Probably even pasta. That being said, waiting in line 45 minutes for Nutella is just NOT GOING TO HAPPEN – at least not during the workday. 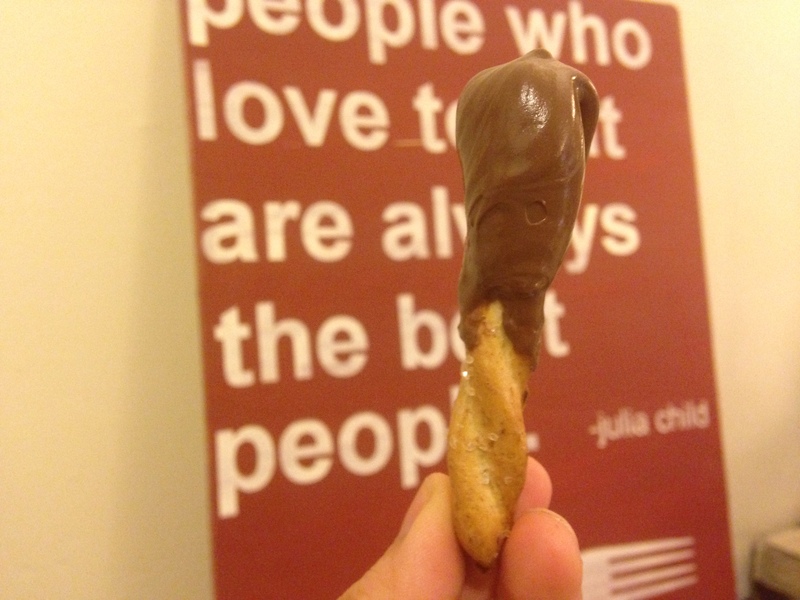 So we present Nutella Pretzel Sticks – like Pocky Sticks but way better. 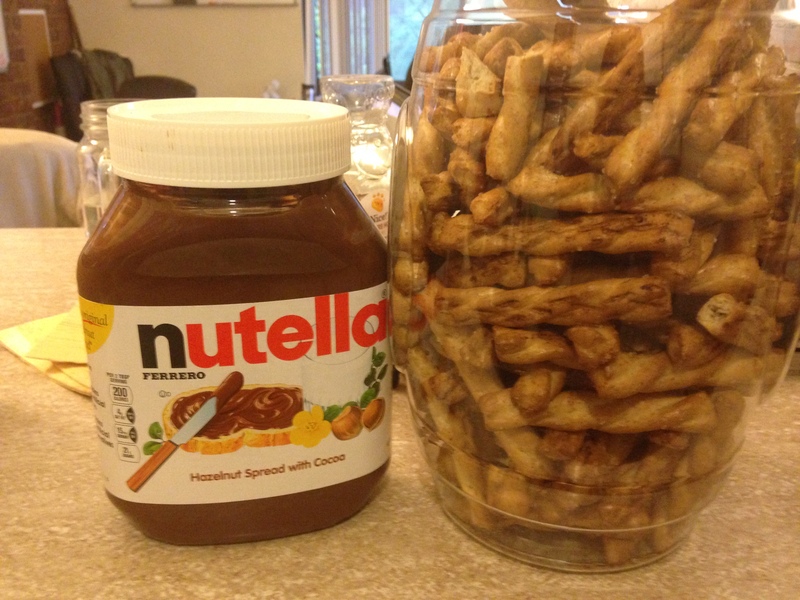 Grab your favorite pretzel sticks and a jar of Nutella – we like the giant Costco sized ones. 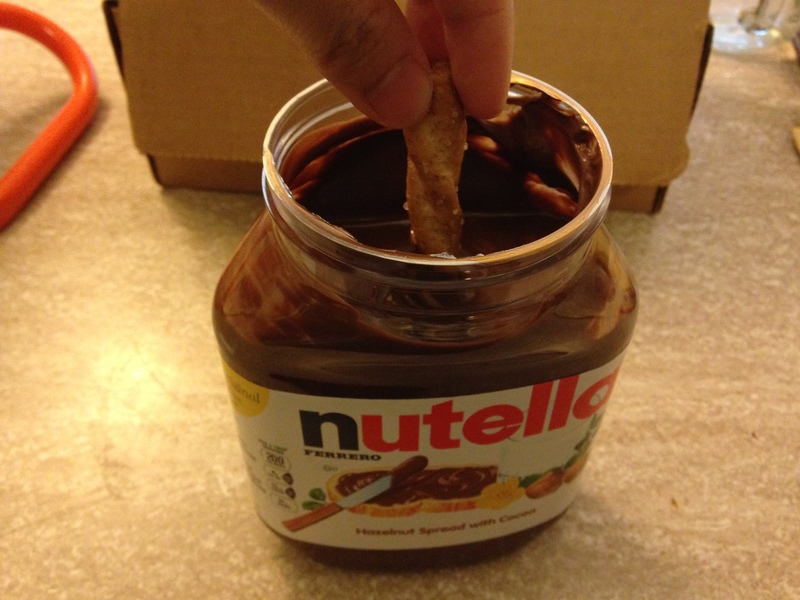 Dip your stick into the Nutella, swirl and lift. Instagram your creation in front of a beautiful landscape. I chose the Venice Canal in Italy, but feel free to be creative. Now proceed to eat. 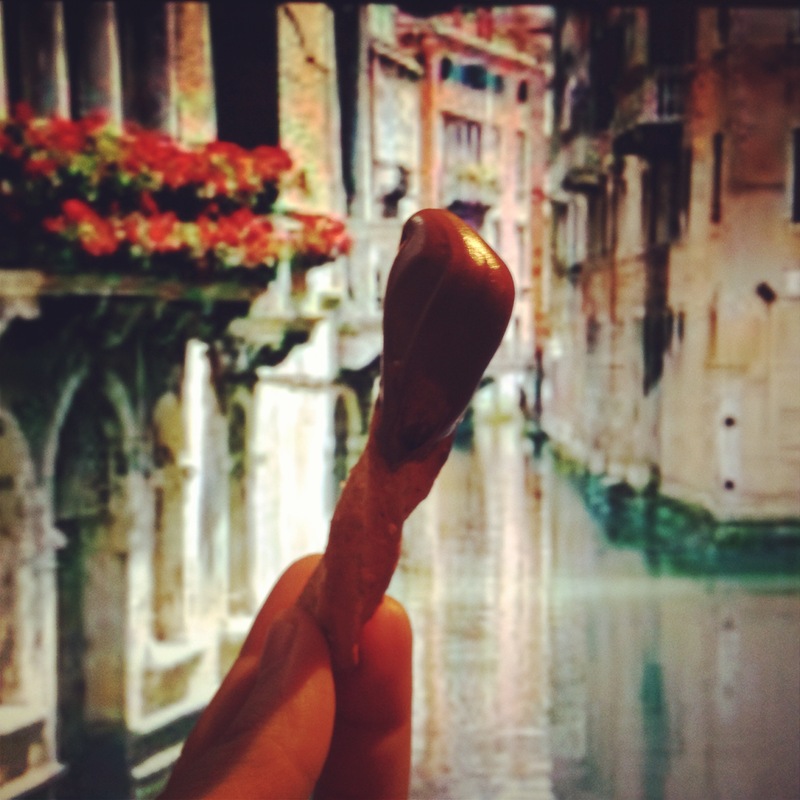 And if you’re like me, you’ll probably eat 10 of these in one sitting. 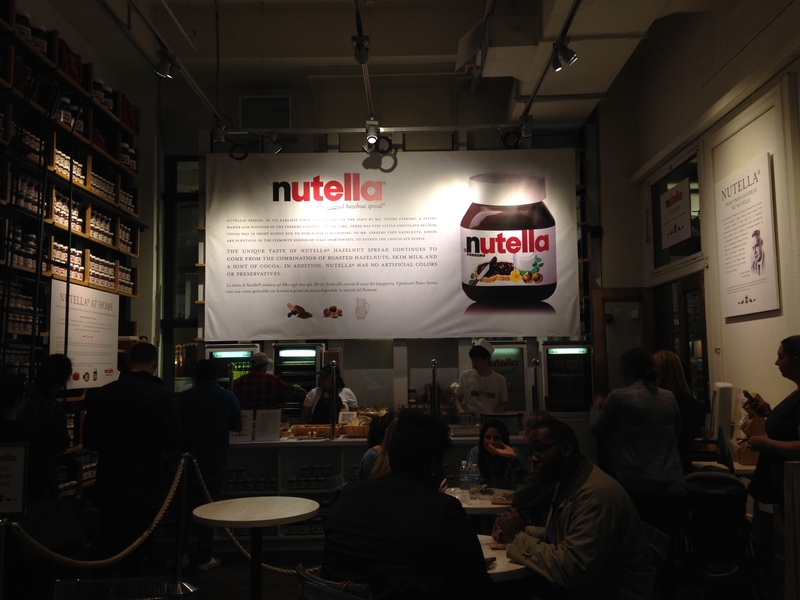 Next Entry:What Are People Eating at Internet Week New York?